A deeply moving, humorous story of a boy who believes in everything and an old man who believes in nothing. In 1934, a rabbi’s son in Prague joins a traveling circus, becomes a magician, and rises to fame under the stage name the Great Zabbatini just as Europe descends into World War II. When Zabbatini is discovered to be a Jew, his battered trunk full of magic tricks becomes his only hope of surviving the concentration camp where he is sent. Seven decades later in Los Angeles, ten-year-old Max finds a scratched-up LP that captured Zabbatini performing his greatest tricks. But the track in which Zabbatini performs his love spell—the spell Max believes will keep his disintegrating family together—is damaged beyond repair. Desperate for a solution, Max seeks out the now elderly, cynical magician and begs him to perform his magic on his parents. As the two develop an unlikely friendship, Moshe discovers that Max and his family have a surprising connection to the dark, dark days the Great Zabbatini experienced during the war. Recalling the melancholy humor of Isaac Bashevis Singer and the heartbreaking pathos of the film Life is Beautiful—this outstanding first novel is at once an irreverent yet deeply moving story about a young boy who believes in magic and a disillusioned old man who believes in nothing, as well as a gripping and heartfelt tale about the circle of life. Moshe Goldenhirsch grew up in Prague in the 1930's. His family was far from perfect and Moshe decides to run away. Moshe comes across a circus run by the Half-Moon Man and is entranced by his magic tricks; he eventually is eventually taken on as an apprentice by the Half-Moon man. Moshe eventually transforms into the Great Zabbatini, a Persian mentalist. However, as the war grows, Zabbatini's facade is broken and he is found out as a Jew. In 2007, Max Cohn is trying to deal with his parent's divorce. As his parents are moving out, Max finds a record of the Great Zabbatini's performance and one of his tricks is a spell for eternal love. The record happens to be scratched on the eternal love spell sending Max on an adventure to find the real Zabbatini and ask him to perform his spell. This dual time story was an emotional journey that ranged from sorrowful to sweet. The writing flowed seamlessly as the alternating time lines switched between Moshe and Max. Moshe's story drew me in with the complexity of family issues and his desire to find escape within the magic of the circus. I was further impressed with Moshe's transformation to Zabbatini and his path to becomming a mentalist. The suspense grew as Zabbatini interacted with officials from the Nazi party. Seeing some of the mentalist tricks in action was very intriguing. Max's character evoked a lot of sympathy as his parents went through the trials of divorce and Max clung to the hope of a magic spell. When Max did fine Zabbatini, the tone of the story changed as both characters found hope in one another. The relationship they formed was similar to grandparent and grandchild and exactly what the other needed at the time. I loved the eternal love spell that Zabbatini performed as well as the unlikely connection that he found. Overall, an emotional story that incorporates history, magic and hope. About Emanuel BergmannEmanuel Bergmann was born in Germany and is a journalist and translator. He has been living in Los Angeles since 1990. 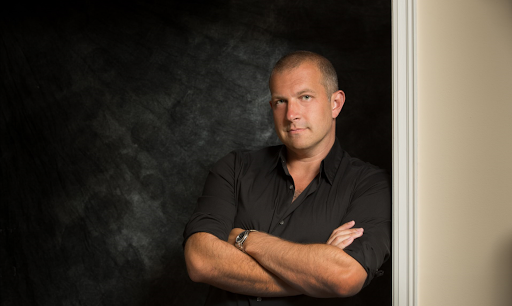 His first novel, The Trick, is an international bestseller. In 1917, 11-year old Fritz Reynolds is trying to find a good place to set his fox trap in the woods of Linden, NY. He stumbles upon a couple in the woods, thinking that the couple was just looking for some alone time, Fritz hides behind a rock. Instead, Fritz ends up witnessing the brutal murder of the women who ventured into the woods. As Fritz runs away, he is sure that the murderer catches a glimpse of him. Terrified, Fritz keeps the sighting to himself. When the woman is found, she is so brutally beaten that she cannot be identified and more so, the murderer is never found. Years later, another murder shakes the small town of Linden. This time it is a neighbor and obviously committed with forethought. Fritz is immediately reminded of the brutal murder he witnessed before. Several years later, three more beloved residents of Linden are murdered. With no arrests and no good suspects, the residents of Linden are thoroughly shaken. Fritz and his family decide to move on, but the memory of the murders continues to haunt Fritz. I happened to grow up in Batavia, NY which is right outside of Linden, NY and mentioned quite a lot in the book. So, I have of course heard of the Linden murders and have been to the small town on numerous occasions as well as several of the landmarks mentioned in the book. I enjoy reading about local history and was glad that some new light has been shone on this unsolved mystery in a thoughtful and respectful way. The description of the town, farms and shops created a perfect image in my mind. The main characters names may have changed slightly and Fritz's character was fictional; however, the timeline and details of the case were presented with historical accuracy and detail while the writing drew me into an intriguing mystery. One thing I was surprised to learn was that the Linden murder investigations were among the first to use some new forensic techniques that were being developed such as plaster facial recreations, fingerprinting and using different 'tells' to see if someone was lying. While the Linden murders are still officially unsolved. Shadow By The Bridge provides interesting insight into just who might have committed such awful crimes. Nadezdah "Little Boar" Buzina, a young pilot with the Red Army's 586th all-female fighter regiment, dreams of becoming an ace. Those dreams shatter when a dogfight leaves her severely burned and the sole survivor from her flight. For the latter half of 1942, she struggles against crack Luftwaffe pilots, a vengeful political commissar, and a new addiction to morphine, all the while questioning her worth and purpose in a world beyond her control. It's not until the Soviet counter-offensive at Stalingrad that she finds her unlikely answers, and they only come after she's saved the life of her mortal enemy and fallen in love with the one who nearly kills her. 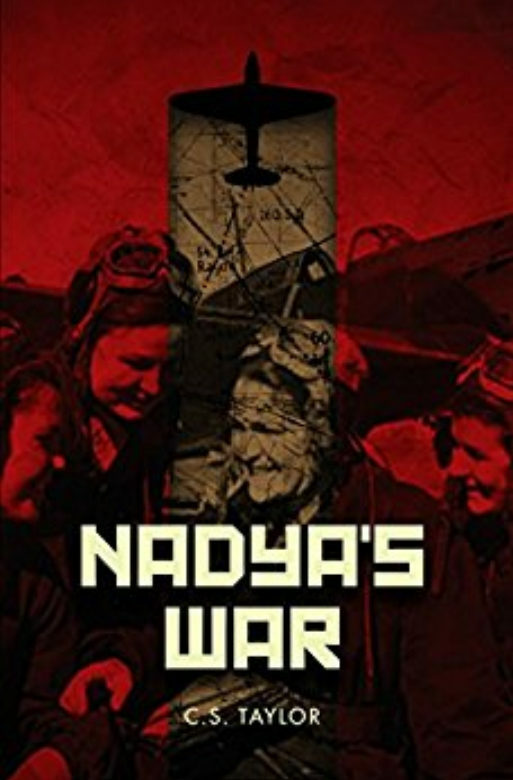 ​Nadya has earned the nickname of Little Boar as a pilot within the Russian Red Army’s 586th all-female fighter regiment during World War II for her fierce determination and charging the enemy. 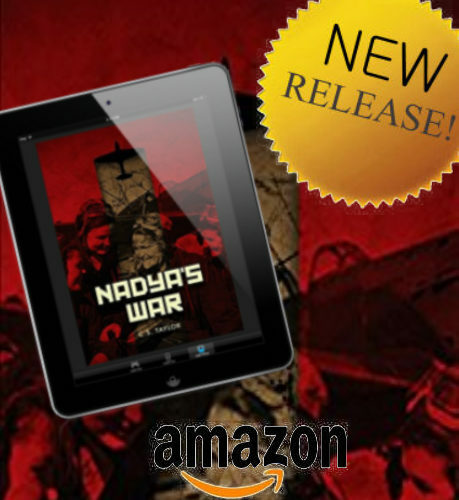 Nadya dreams of becoming an Ace pilot and bringing pride to her family for her service during the war. However, when an aerial fight leaves Nadya as the only survivor and with burns and trauma, she struggles to fly again. Nadya soon finds herself addicted to morphine and able to fly, bent on revenge to shoot down the German Pilot who killed her friends. 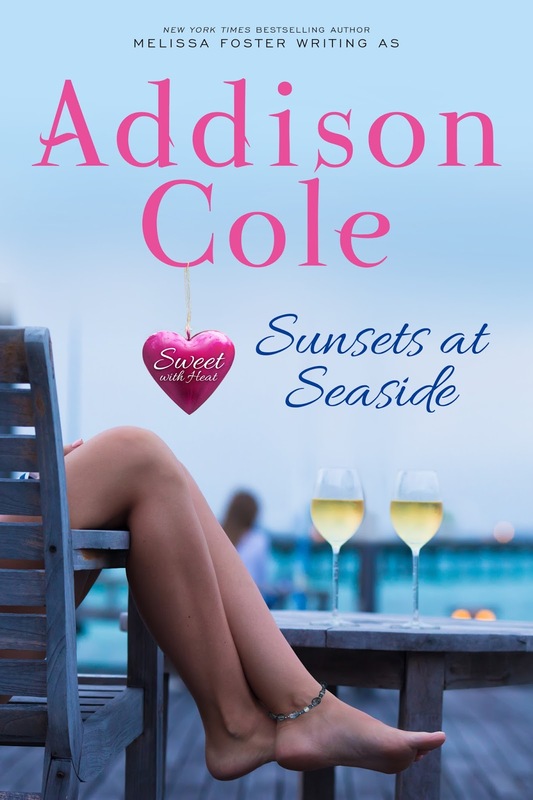 She also finds herself under investigation with a very dangerous man. With the help of her friends, her mechanic Karla and new partner, Alexandra, Nadya continues to fly and come closer to becoming an Ace as well as shooting down the German pilot. Nadya's war pulled me into the world of female pilots during the war. While I was aware that women from several countries fought in the war, I did not know about the Russian all-female fighter regiment. Nadya's point of view was very interesting, since she is very eager to prove herself, but does not fall in line with Stalin's values; primarily, Nadya is still religious. The aerial fights drew me in the most, I could see the details of the planes and feel the adrenaline of the maneuvers. The characters that made of the regiment were all interesting, however, I do wish some of the others were fleshed out more. Nadya was steadfast in her beliefs, to the point of being boorish, earning her a nickname. At points she did seem immature, although, like many of the others fighting in WWII, she was very young. The romance that was introduced was very surprising, especially for Stalin's Russia, this was ok with me, but didn't seem to have enough of a prominent role. The story arc seemed to be lacking something for me, I felt like I was waiting for something that didn't happen. Either the romance or the revenge story needed to come to a head in a bigger way. Overall, an intense story of women fighter pilots in World War II. Sisters, Lucy and Elinor Sutherland grew up on the sleepy island of Jersey. They were insatiably curious and had large ambitions; ambitions far bigger than the island. Upon meeting the notorious Lillie Langtry one day in their youth, the sisters decide that they will one day become much more. Through time, hard work and dedication, the two women eventually do realize their dreams. 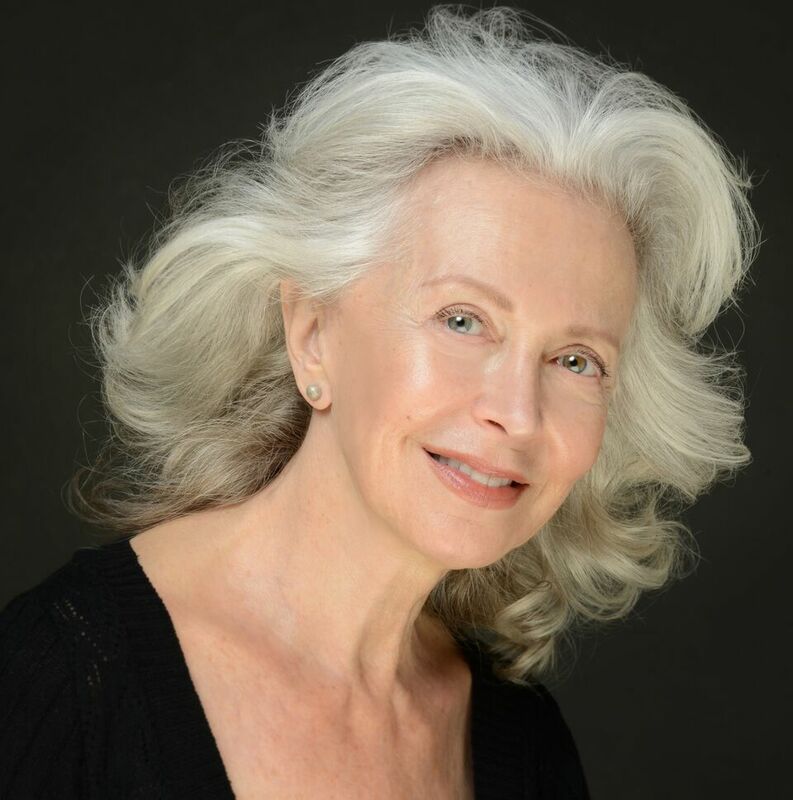 Lucy transforms into Lady Lucille Duff-Gordon fashion designer and entrepreneur extraordinaire. Elinor becomes Elinor Glyn, scandalous romance writer whose books went onto the big screen. Both Lucy and Elinor became the 'It' girls of their day; however, while both women excelled in their career goals, their dream came at a price in other areas of their life. Elinor and Lucy quickly pulled me into their world of daring, creativity and determination. I was amazed at what these two women accomplished in their lives, especially for women living in the early 1900's. 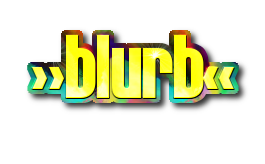 The story follows Lucy and Elinor from their youth through later life bouncing back and forth between the two women. The writing showed the 'it' factor of each woman without laying it out. Lucy had amazing grit while opening up her own fashion enterprise and ingenuity enough to make change in the fashion world. Even though I knew of Lucille Duff-Gordon, mainly through her voyage on the Titanic, I never knew of her impacts on the fashion world and how they are carried through to the present. Lucille was the first to use live models and do runway presentations, she also led the way to get women out of corsets and into more natural silhouettes. I did not know much about Elinor Glyn, but it seemed that her style of romance writing had an impact on many people. It also seemed that she made an impact on Hollywood romance as well! While the sister's careers and social standings skyrocketed, I was surprised to see that their personal and family lives took a toll. Both women struggled in marriage and didn't seem to have strong relationships with their children, often living in separate countries. This imbalance, to me, was a strong commentary on the lives of women at the time, showing that even successful, strong women had to choose either career or family. Overall, a wonderful portrait of two strong, important women in history. The Purple Turtle Graded Readers Level One are perfect books to introduce a variety of topics to young children. 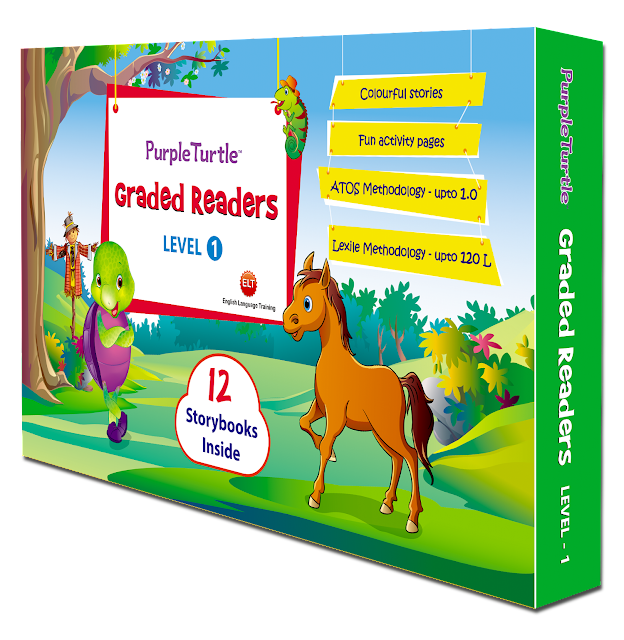 Throughout the twelve books, Purple Turtle introduces children to a daily schedule, opposites, colors, senses, animal sounds, family members, numbers, shapes, feelings, fruits and vegetables and household items. Each books is 18 pages and a perfect size to fit into tiny hands. The sentences are short and each reinforces recognizable words and concepts that the books is trying to convey. My toddler absolutely loved the Purple Turtle from the moment we opened the box. He immediately began handing me books to read. With the length of each story, he could easily pay attention to several stories in a row. The colorful, simple pictures featuring the same cast of characters in each book is wonderful for introducing a new or more difficult concept to children. The sentence and word structure of each story also reinforced word recognition with a group of words repeating throughout the story. Some of my son's favorite stories are The Lost Bag, The Animal Parade, and Purple's New Shoes which introduce shapes, animal sounds and colors. In The Lost Bag, we love finding all of the objects with the indicated shape among the pictures as well as all of the airport vehicles. My son loves animals, so he enjoyed repeating the animal sounds in The Animal Parade. In Purple's New Shoes we enjoyed naming the colors and finding everything else pictured that was that color. The last four pages of each book are fun interactive activities for your child that relate to the topic for further reinforcement. These books will continue to grow with my child as he is able to go from being read to to reading himself and move up through the box set levels. Since these books were published in India there are a few things that are a little off if you are an American reader. For example, there is a camel sound included in The Animal Parade and what I would call a ladybug is referred to as a ladybird in Counting Insects. These books were received for free in return for an honest review. About Coloring NovelsTM: Novels have been refused the love of artistic interactivity and brilliant colors for far too long. Not anymore... Coloring novels were dreamed up by author and artist, Emilyann Girdner. 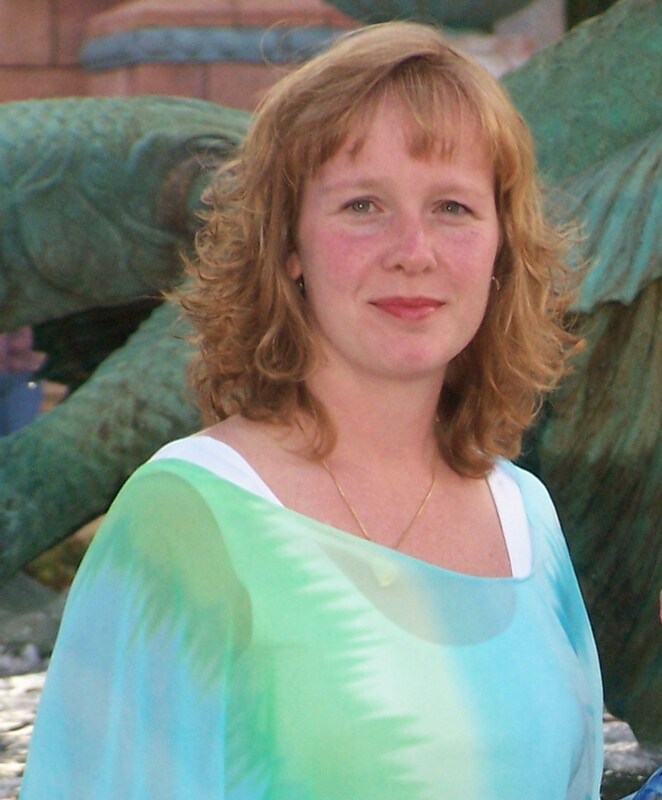 She launched Coloring Novels™ because she wanted to bring the joy of reading novels and coloring together. Reading is an inspiring experience, so you are invited to color the provided pictures, draw your own art, and jot down your ideas as you enjoy this adventure. For more coloring and reading enjoyment, collect all classic stories available by Coloring Novels™. 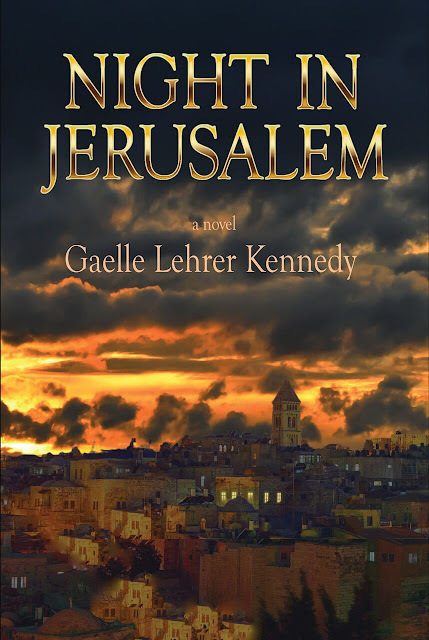 David Bennett travels to Jerusalem in 1967 on a journey to find himself. His cousin Johnathan has been studying Judaism in Jerusalem and believes that his mentor, the chief rabbi, Reb Eli will be able to help David with his troubles. David arrives in Jerusalem planning only to stay one month, however, he is quickly taken in by the beauty of the city and Reb Eli's ways. When Reb Eli suggests that David visits a local brothel for help with his women's troubles, David is taken aback. However, when he finally decides to visit, David meets Tamar and his troubles seem to vanish. Meanwhile, Reb Eli's widowed daughter, Sarah is feeling depressed and out of place without a husband or child within her Orthodox community. Sarah longs to love once again and when a mysterious Englishman enters her home, Sarah's senses are awakened. As David and Sarah begin their new journeys in romance, the Six Day War breaks out in the Middle East and forever alters their lives. Recreating the biblical story of Tamar in a more modern setting, Night in Jerusalem has a fairy-tale quality to it. I immediately felt immersed in the city of Jerusalem, from the golden glow of the city, to the quaint diners and the people of many religions mingling together. I easily took to David and Sarah's characters as lost souls as well as Reb Eli's comforting character. I was surprised at Reb Eil's suggestion for David's troubles as well as how sensuous many of the scenes were. Along with learning the tale of Tamar, I learned many things about Jewish Traditions and life in Jerusalem. The intricacies of Shabbat seemed beautiful and I wish I could have heard Sarah's singing. The Six Day War was something else that I learned of, I had no idea that this tragedy or the reasons why it had happened. The most interesting aspect of this story is the interwoven tale of Tamar told through David and Sarah. Their mystery to one another kept the story suspenseful and their romance kept me intrigued. 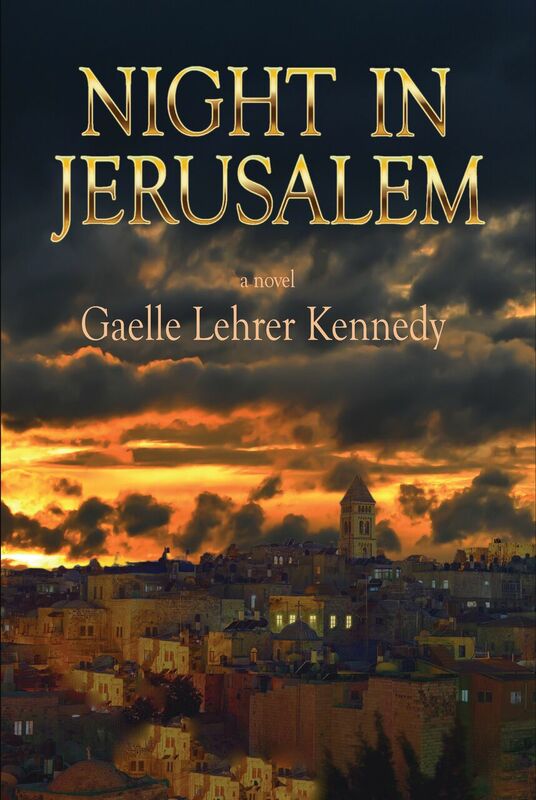 Overall, an interesting portrait of Judaism in 1960's Jerusalem interwoven with an updated biblical story. A plague has spread across the world affecting parts of the population and turning them essentially into zombies. Vincent Conrad has the perfect solution for the World’s zombie problem. Countries have them contained, but cannot come up with a decision on how to move forward. 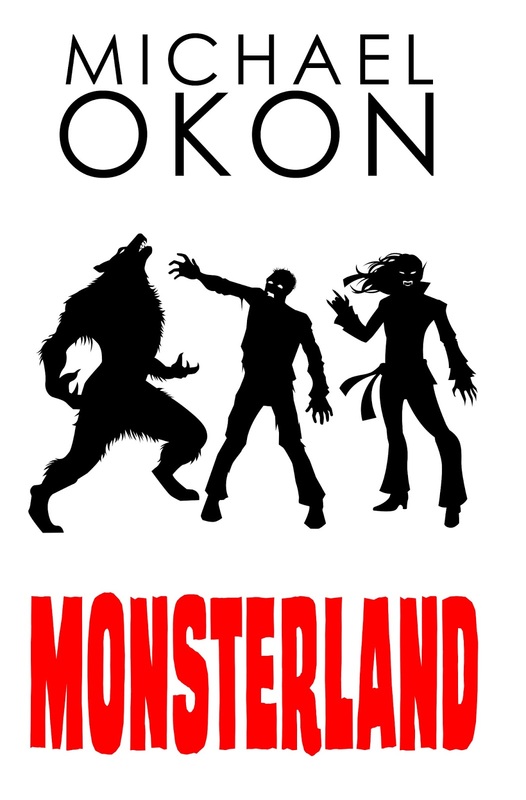 After Vincent discovered the last of the populations of Vampires and Werewolves, he has decided to open theme parks- Monsterland- across the world with attractions such as Vampire Village, Werewolf River Run and Zombieville. 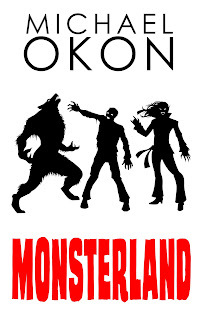 With a mission stated to research and find a cure, Monsterland opens with a bang. Lucky enough to land a special invite- Wyatt Baldwin, his brother and a few classmates are among the first guests. Michael and Sarah are dead, but that doesn't mean that they can't make the most out of their afterlives. For some reason they are stuck in between as ghosts. Just now, months after Michael's death and decades after Sarah's death are they learning their true purpose for remaining on Earth. 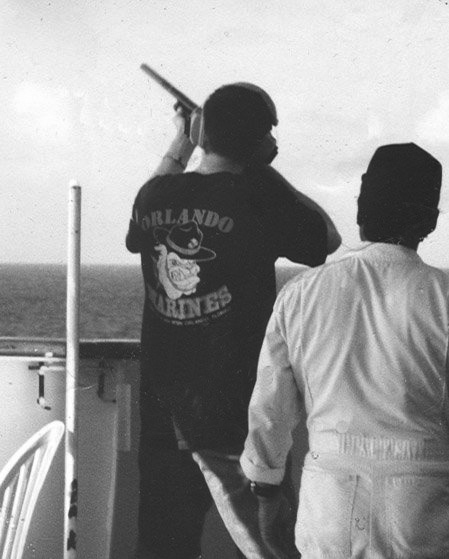 However, their positions come with danger. Michael is being chased by demons who are wreaking havoc on the spirit world and the corporeal world and they are using Sarah as bait. Meanwhile, Michael and Sarah are trying to make the most of their afterlife romance while learning what they can from other ghosts around them, checking in on Michael's living family and trying to come to terms with their newfound purposes. This episode of the Ghost Chronicles was action packed. Michael and Sarah's story picks up right where it left off in book one. I was glad to see that they were still happy in their situation in the afterlife as well as finding out more about why they were not able to move on. 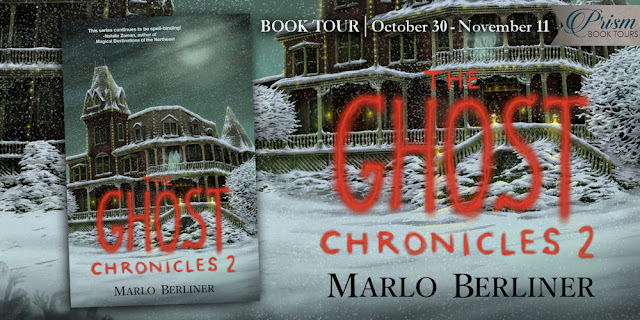 Ghost Chronicles Two was kept fast-paced with interchanging scenes of of levity, parties and fun with demons, battles and suspense. I really enjoyed learning more about the afterlife and how all of the ghosts were content to be equal in death no matter of race, religion or station in life. It was also very fun being able to see glimpses of famous ghosts such as Albert Einstein. Most of all, I appreciated how Michael's new position allowed me to see how good can come out of death. It was interesting learning about the Cocoanut Grove fire through the eyes of those who were there. I can't wait to read more about Michael and Sarah's new found job and amazing powers in the next book. Michael Andrews is a Senior in high school, weeks away from graduation, an all-star basketball co-captain and has a great girlfriend. Unfortunately, he is hit by a reckless driver and dies in the accident. 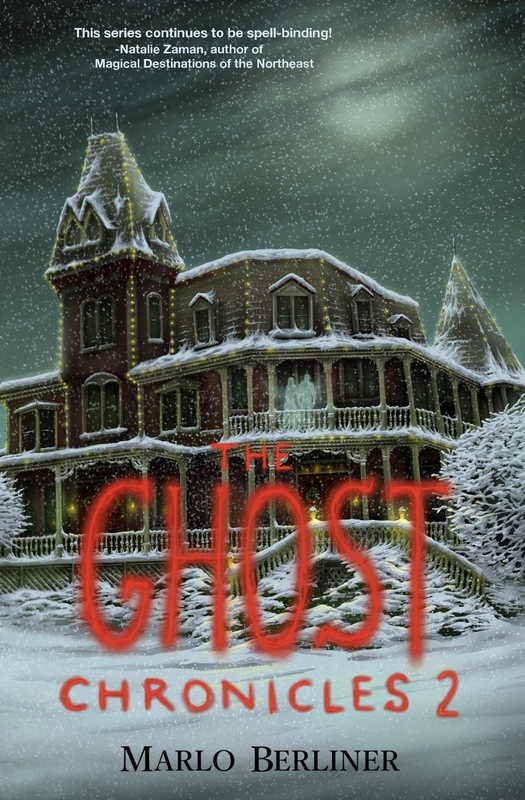 Michael is left to navigate the ghost world on his own and it is no easier than the living world. Michael wants to move onward and upward after his death, but doesn’t know how. Michael finally meets Tom, another ghost who is able to help him figure out his new world. As Michael learns about being a ghost, he meets many other ghosts, including Sarah, the resident haunt at the Angel of the Sea. With Sarah, he learns that love can be part of the afterlife. However, danger is also part of being a ghost. 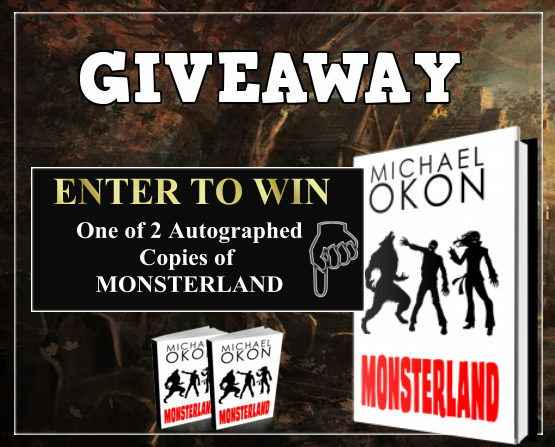 Michael learns that he is marked by the devil and is being chased by demons that want his soul and will put Sarah in danger in order to get it. I was pulled right into this story about Michael’s trials and learning about how to be a ghost. It was really interesting to see his struggles with leaving his family and girlfriend behind, especially in the absence of his father. I really liked when Michael met Tom and was able to learn about his new world, do cool things and meet other ghosts. Some of the famous ghosts were awesome to get to know in the afterlife. Michael and Sarah’s relationship is very sweet but a little strange to me; I’d love to know more about ‘joining’ of souls and why it is a bad thing and maybe more about Sarah’s life. The suspense builds as Tom sudden disappearances grow and the demons are more intent on chasing down Michael for his mark. There is a lot to still figure out: Why is Tom special? Why do some ghosts move on while others are stuck? Why is Michael marked for the devil? I will definitely be reading the second book! This book was received for free in return for an honest review. November 3rd: Mello & June, It's a Book Thang!